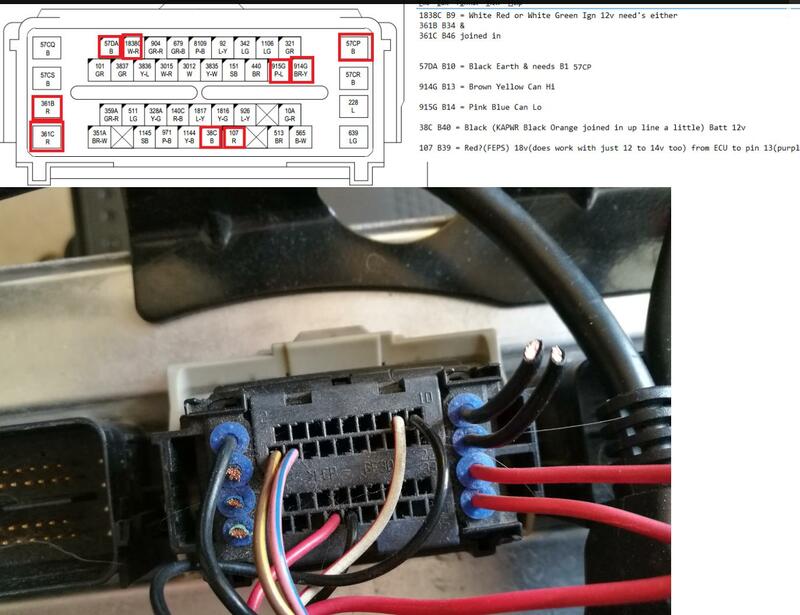 Are you sure you have the pins on the OBD side correct? They are numbered as well. Yes, checked and double checked. Its not my hp tuner cable as i have a Holden VF here and a MY16 XR8 and both connect, must be something in my bench loom or a faulty ecu? Time to be a sparky and diagnose the problem! is it definitely a ford falcon ecu, i've been sent a focus ecu that looks the same and it comes up with same fault. Have you ever used this loom before on another PCM? 80gus wrote: is it definitely a ford falcon ecu, i've been sent a focus ecu that looks the same and it comes up with same fault. rolls wrote: Have you ever used this loom before on another PCM? I've had a similar problem before with my HPT cable & found it was due to a electrical component blown inside the HPT case & never found out why but 99% sure it was because I had original bench wiring wrong when I tested once or just too much power from power supply when originally connecting(ign on/off sequence). VX L67 Getrag wrote: I've had a similar problem before with my HPT cable & found it was due to a electrical component blown inside the HPT case & never found out why but 99% sure it was because I had original bench wiring wrong when I tested once or just too much power from power supply when originally connecting(ign on/off sequence).